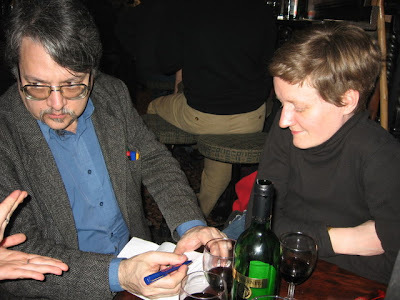 Dumneazu: London Pubs: The Reason for Empire. 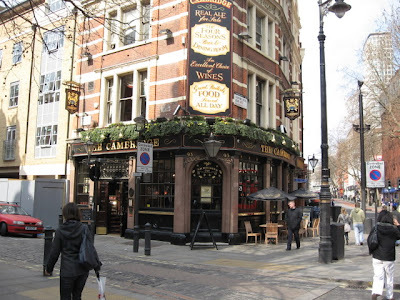 Just back from a visit to London, where the men wear skirts in the business districts and the traditional London pub is still the lunchtime choice for a spot of quiet from the busy streets. 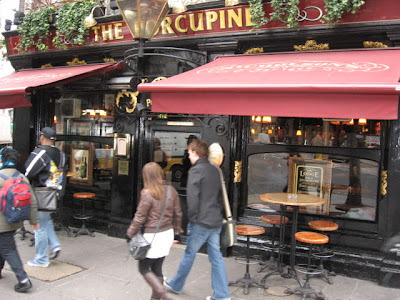 A pub is not just a bar in the American sense - it is an island of refuge, a place for a bite to eat, and a place to meet your neighbors or bring your family. In England, pubs are the national living room. People don't drink sitting alone at home. They go down "to pub." Even in the countryside one is rarely more than a twenty minute walk from the nearest pub, meaning that you can always walk to one instead of driving drunkenly on the wrong side of the road as is the English custom. If anything defines the difference in American and British society, it is the sense of community one finds at one's local pub in England. 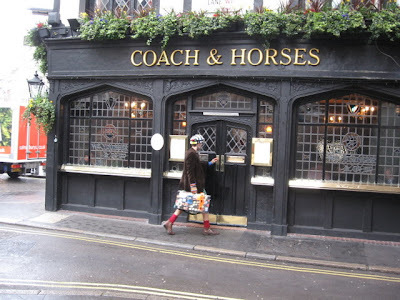 Downtown london pubs - like this one on Charing Cross Road - tend to be conservative in decor, and often outright stereotypical, really, meaning you can walk in and immediately feel like you are in an Admiral Hornblower novel or an Andy Capp strip when you take a seat. Traditional brews like bitter, porter, and brown ale are served at room temperature to the old toothless guys in flat cloth caps, while the younger set (those whose teeth are merely decaying) goes for for the trendy new "lager"... which is to say beer as the rest of the world knows it. Oh, and the "crisps" - potato chips - are fantastic. Obviously, British science has been spending all of its research grants on perfecting crunchy salted snacks instead of helping to develope military technology to aid in the American War on Everything That Moves. Pubs are usually remarkably friendly places - you can walk in alone and soon be on a first name basis with half the house. You can usually find something English to eat - which can be scary. I saw a lot of hot lamps warming pre-cooked tumoroid meatwads called "hamburgers" to be served with an archeologically datable potoato concoction called "mash". "Mash" also goes with "bangers" which is merely a more pornographic way of saying bread-and-grease filled sausages with mashed potatoes. The British like their mashed potatoes. 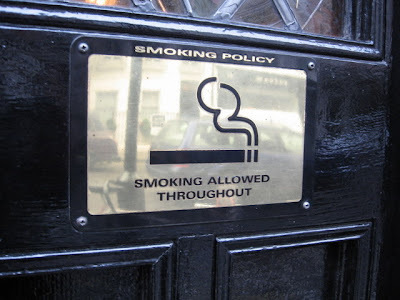 Everybody I spoke to seemed to exist in absolute dread of the upcoming ban on smoking in pubs, set for the end of this year.